The Theatre District Residence is a new mixed-use condominium development of 2 towers rising 48 storeys (153.1 metres) with an eleven storey podium and 50 storeys (159 metres) with a six storey podium (27 metres) that will have retail use at grade level and on the second floor and a proposed total of 728 residential units currently in pre-construction by Plaza at 8-20-30 Widmer Street and Adelaide Street West in Toronto, Ontario. 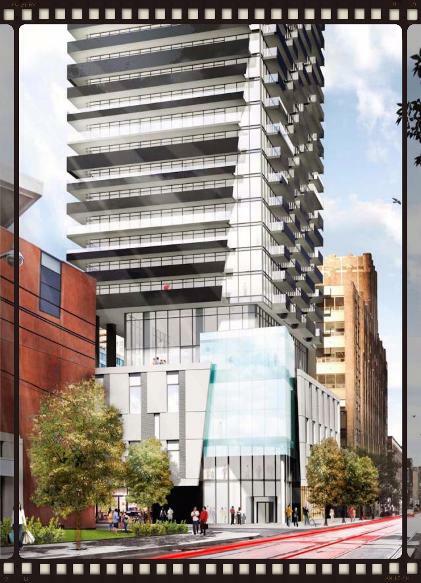 The first tower at Theatre District Condos by Plaza will be about 153 metres in height with 48 storeys and 328 proposed units. 66% or 217 will be 1-bedroom units, 24% or 78 will be 2-bedroom units and 10% or 32 will be 3-bedroom units. 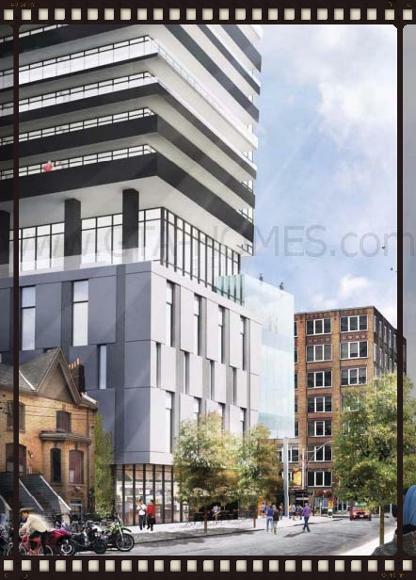 The ground floor will house approximately 2,937 square feet of retail use space with the lobby and concierge fronting Widmer Street in Toronto. Unit sizes will be from 380 square feet to 1,000 square feet. Total residential gross floor area is 34,309 square metres. There will be 4 levels of proposed below grade parking and 5 levels of above grade parking from the 2nd to the 6th floor and there will be approximately 198 parking spaces available. 170 will be for residential parking and 28 will be for visitor and/or commercial parking spaces. There is a total of 471 proposed bicycle parking spaces of which 415 will be for residents located on the 7th and 8th floors, 47 will be for visitors located on the second floor and 9 will be for retail use located at grade level and on the second floor. The indoor amenity space for the residences is located on the 8th where you'll find the gym and yoga room and this is where the property management office and four guest suites will be located. The 9th floor will have both the indoor and outdoor amenity space. This is where you'll find the lap pool, change rooms, lounge area with a kitchen and a landscaped terrace with more lounge areas and bbqs. The 10th floor holds more amenity space. Total indoor amenity space is about 1,051 square metres and total outdoor amenity space is about 580 square metres. 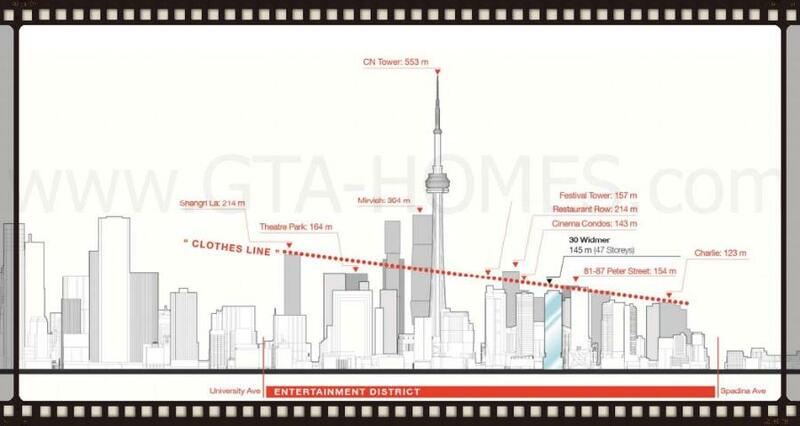 The penthouses at Theatre District are proposed to be from the 46th to the 48th floor that will have balconies and 10 foot ceiling heights consisting of 7 suites on each floor while the typical lower floors (11th to 46th floors) will consist of 12 suites per floor. 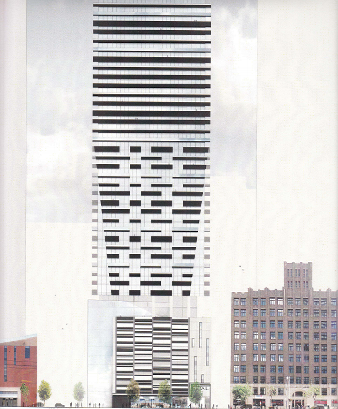 The main entry way into the building will be situated at the northeast corner of the site. 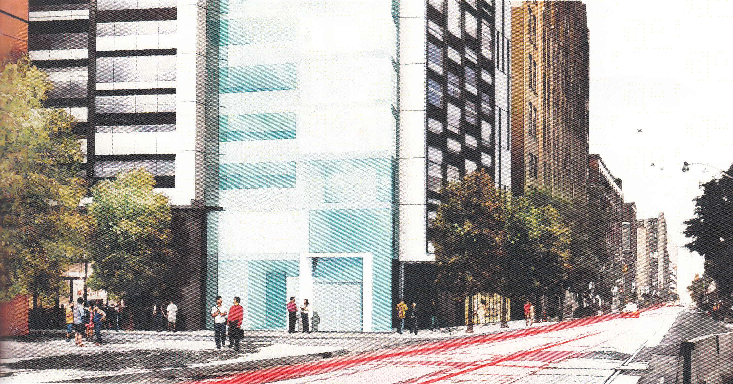 Retail entry ways will be located on both Widmer Street and Adelaide Street West frontages. The Theatre District Towers are located in a desirable area of downtown Toronto that is always happening with full of entertainment which is non-other than the Entertainment District. 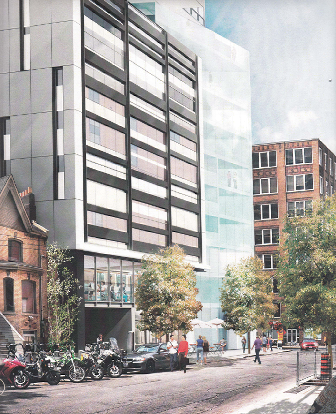 It is located in a parcel of land that includes 8-20 & 30 Widmer Street and 309-315 Adelaide Street West. Register with us today for information on this upcoming project by Plaza! 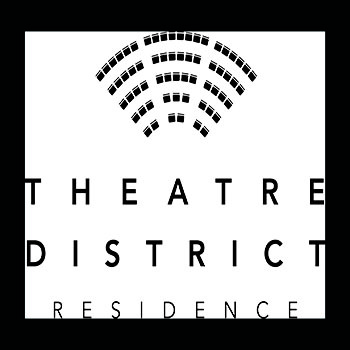 Register here with us today for more information on Theatre District by Plaza. For more information, please register today for the Theatre District Condos Platinum Access Preview Event.